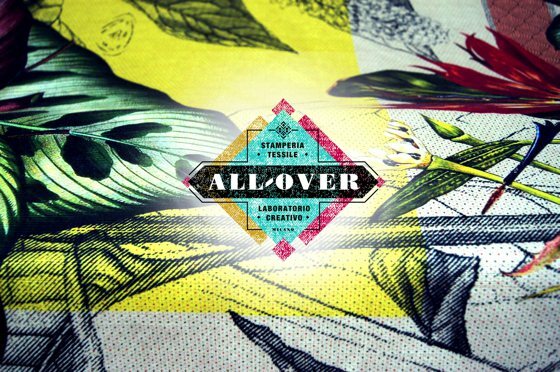 All-Over is the first fabric printing studio in Milan, that provides the custom printing service to young fashion and interior designers, students, crafters and makers. 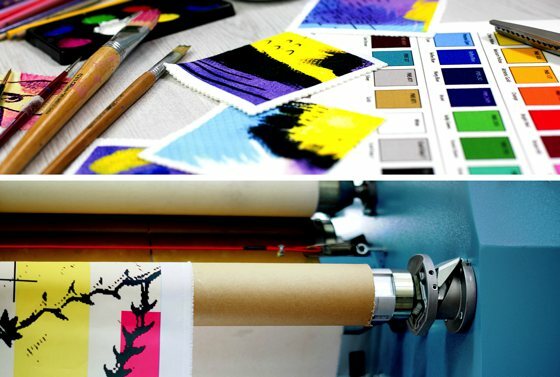 The print shop is equipped with the advanced technology in digital sublimation printing that allows to print the vibrant, full color graphics, intricate details and feathered edges. 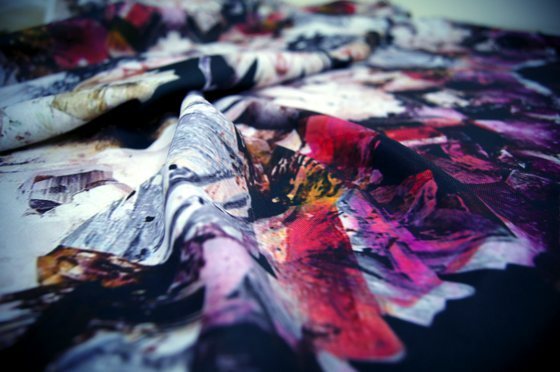 Dye sublimation works on most synthetic and blend fabrics such as chiffon, satin, lycra, jersey, neoprene and others. 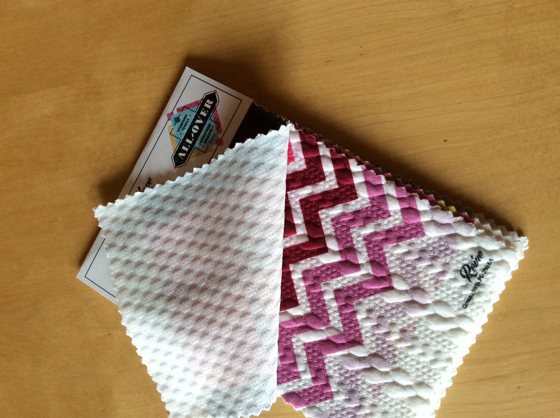 They stock about 30 carefully sourced materials to cover designer's needs. 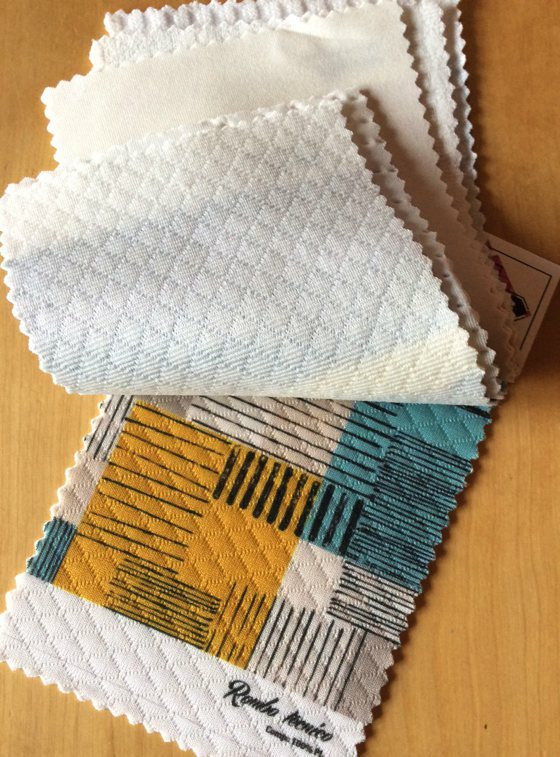 But if you could't find a desirable fabric from their range you can supply your own textile. 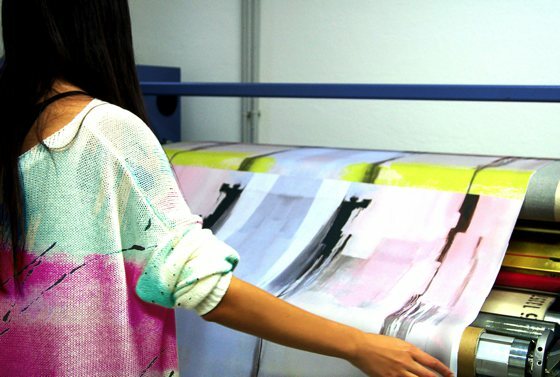 All-Over offers free custom test printing before proceeding to any volume print run, this step is important because it gives possibility to check size and colors of your design or compare a few fabrics, therefore make sure that you have the right match. 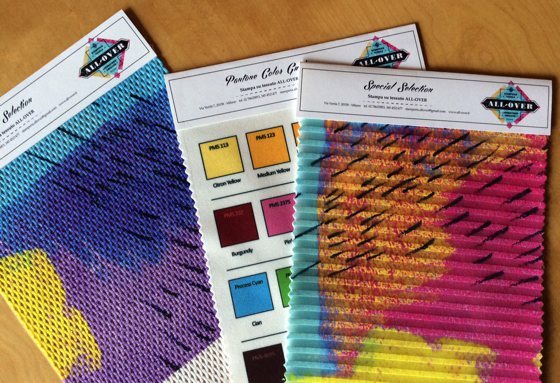 Marina and staff can guide you throw your printing project, from a first step of a file setup all the way to the final delivery of your fabric. 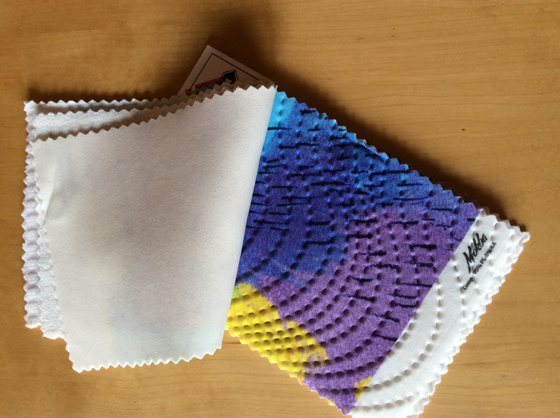 They have no minimum order, you can print also less than a metre: this is a great way to test your ideas! 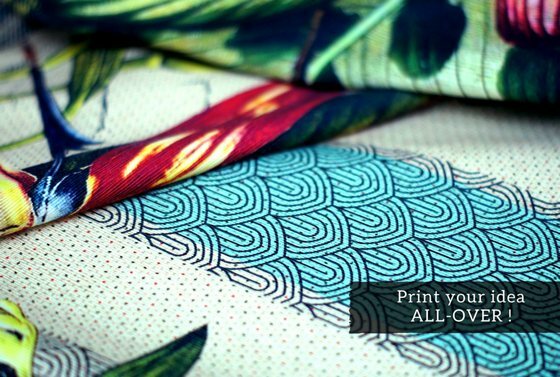 With All-Over you can create and print the textile design you want, when you need it and in the exact quantity. The highlight of this shop is the assistance in the setup files, the choice of fabrics, the readiness to make corrections and improvements in print. 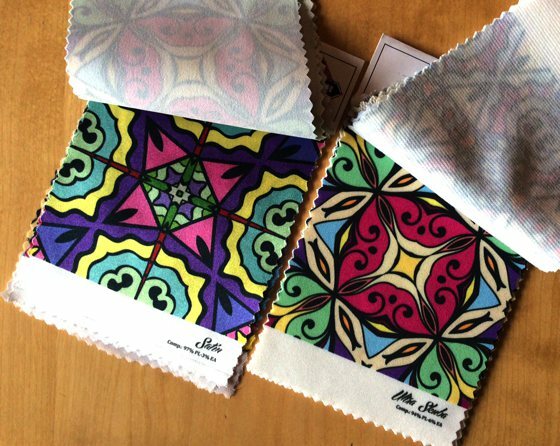 In addition, over the range of 30 fabrics available, for demanding customers or for major projects (contests, fashion shows, etc.). 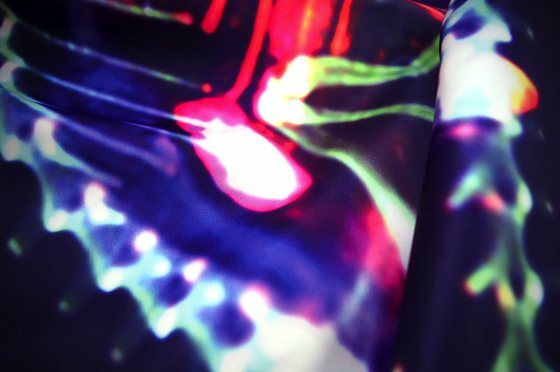 All-over also has the ability to order special fabrics, with particular effects and unusual textures, Thanks to the relationships established with various textile factories. The print shop is located in the heart of the Bovisa district, 2 min walking from the Politecnico University and close to the city center. 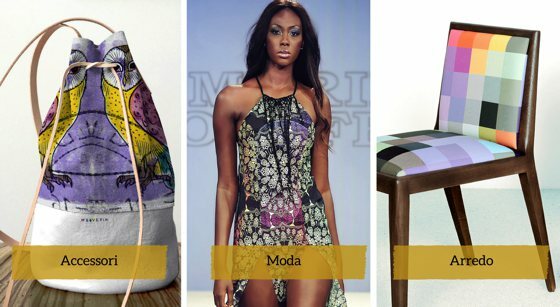 Every start-up fashion designer knows that one of the hardest things to do is find low minimum suppliers. It’s especially hard to find low minimum suppliers that will do custom work. 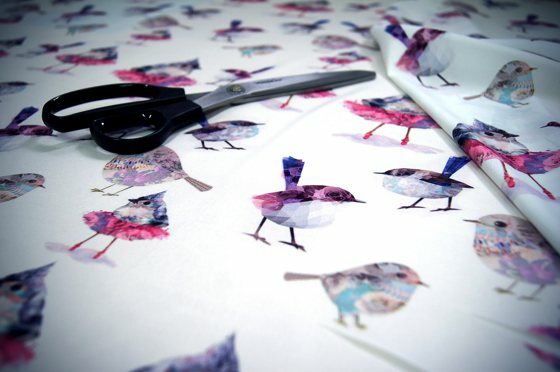 After Master degree in Fashion Design from Istituto Marangoni and worked for a few big brand such as Etro and Blumarine, Marina Dorofeeva began to realize her personal line and created her own fabric prints. She was officially obsessed with the designs on fabric more than anything else. 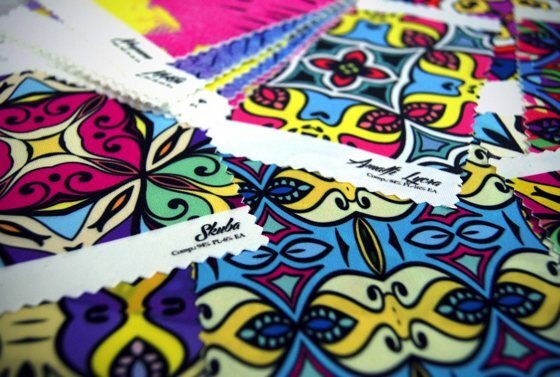 She collaborated with the manufacturer of Como to produce short run of her textile designs, but the production time was very long and the small order required substantial resources. 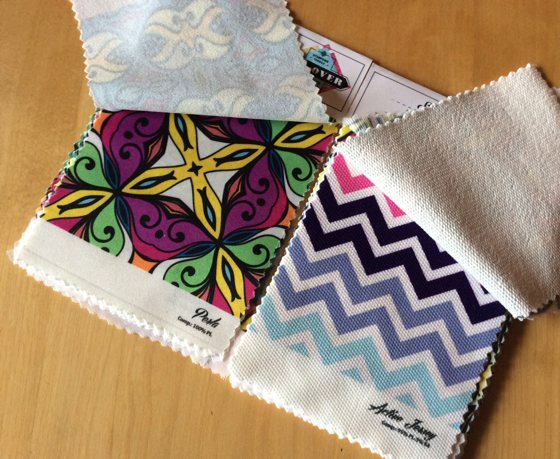 She was thinking about starting her own small printing business - to open a nice place with quickly print-on-demand fabric service at a good price. Last year Marina participated in local funding program Start Milano, she received the financial support from Comune di Milano. With their help her idea turned into reality. Good luck Marina!